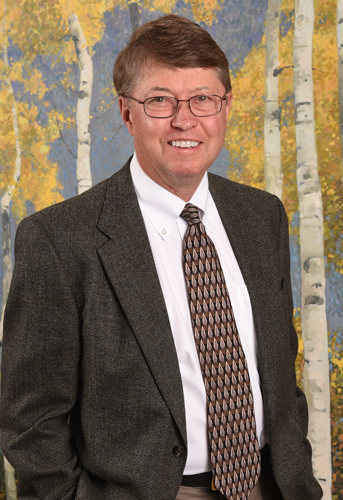 Rand has been practicing law in Salt Lake City for over 40 years. His practice focuses primarily on commercial real estate transactions, including commercial lending. He has experience with nearly all types of real estate transactions and with loans secured by almost every type of collateral. He was named Distinguished Real Property Practitioner of the Year 2011 by the Real Property Section of the Utah State Bar and was named the Best Lawyers’ 2016 Real Estate Law Lawyer of the Year for Salt Lake City. For more than 25 years Mr. Cook has represented the owner of a number of office buildings and retail properties in Salt Lake City in connection with the acquisition, development, financing, leasing, management and sale of those properties. Work for this client has also included assembling and selling large development parcels on the edge of downtown Salt Lake. Over the course of his career, Mr. Cook has represented a number of ski resorts and related developments. For more than ten years he has been part of a team of the firm’s lawyers who have represented one of the major property owners in the Park City area. Work for this client included acquisition of properties or of companies that owned those properties, development of subdivisions and condominiums, joint ventures with other developers, ground leases to other developers, development of common recreational areas and facilities and related financing arrangements. In addition to initial loan transactions, Mr. Cook has represented both borrowers and lenders in connection with forbearance arrangements, workouts, foreclosures, receiverships and bankruptcies related to real estate financing. Those matters were usually handled in collaboration with insolvency and litigation specialists within the Firm. In collaboration with our natural resource specialists, we have also represented both lenders and borrowers in connection with financing of mines, wells and other mineral projects. In one case we represented a lender to a mining company from initial loan documentation through foreclosure proceedings and eventual full repayment of the loan through bankruptcy proceedings.